Yes, I’m going to collect and post large scans (click to enlarge) of as many Micronauts toy boxes as I can find. It’ll be like browsing a toy aisle in the late ’70s. You’ll love it. 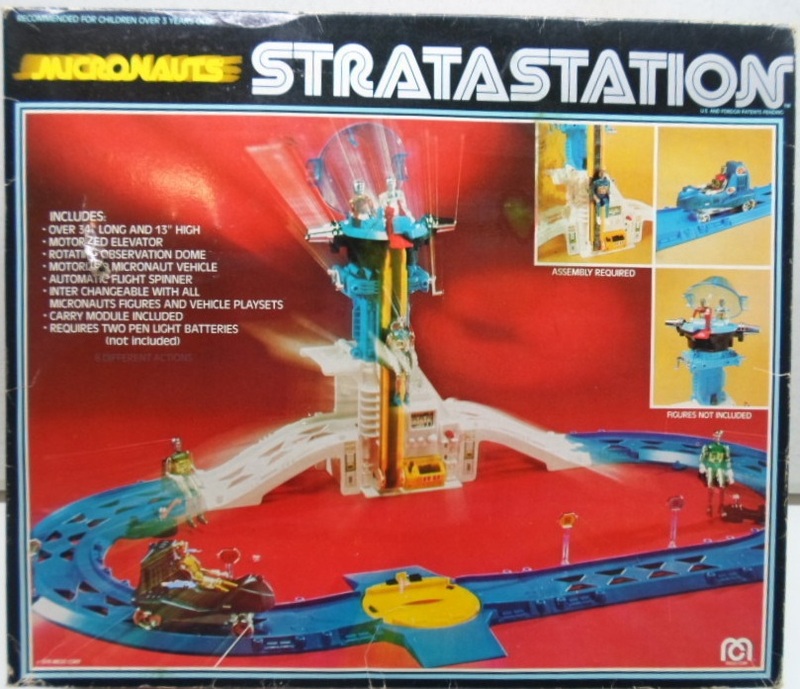 For a comprehensive description of the 1976 Stratastation play set, check out the excellent entry at Innerspace Online.